Who feels like crafting today? I would, if I hadn't already done these! As the night's get darker, it's nice to have something to light up the place with. But, as a new cat owner, I had to come up with something that is safe indoors and around pets/children. 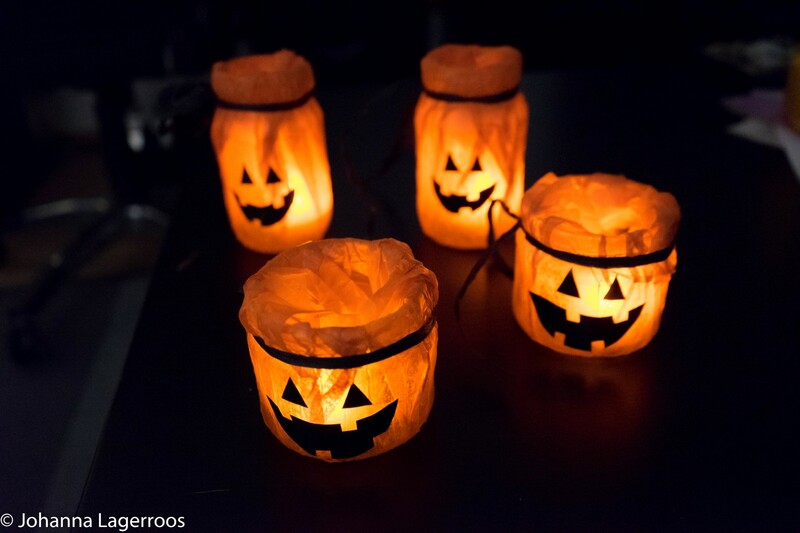 Therefore, I planned on making lanterns that would not heat up, not have fire in them and not attract animals too much. 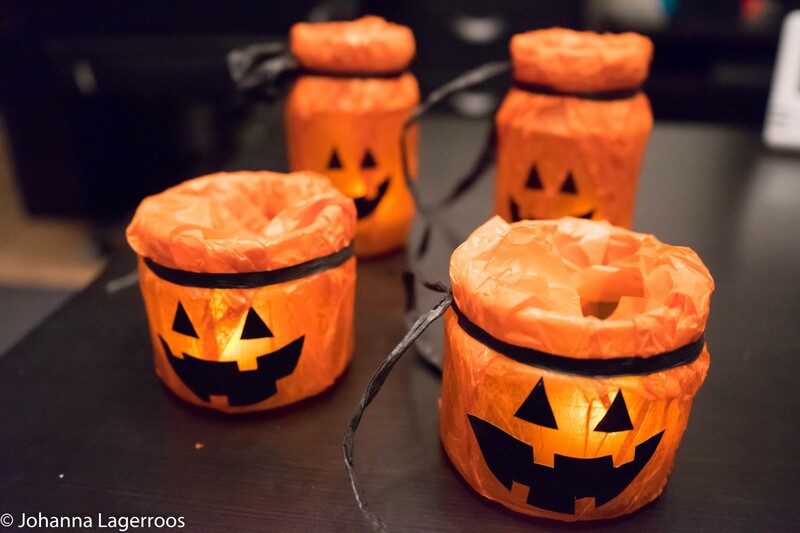 I figured reusing glass jars from groceries and making them look like pumpkin lanterns would be a fun idea. 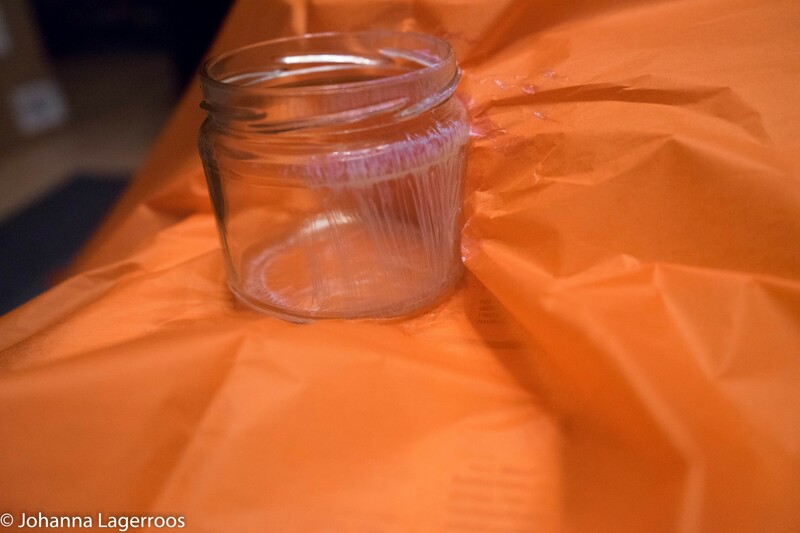 Start up by covering the jars bit by bit with the lacquer, and glue the silk paper all over. 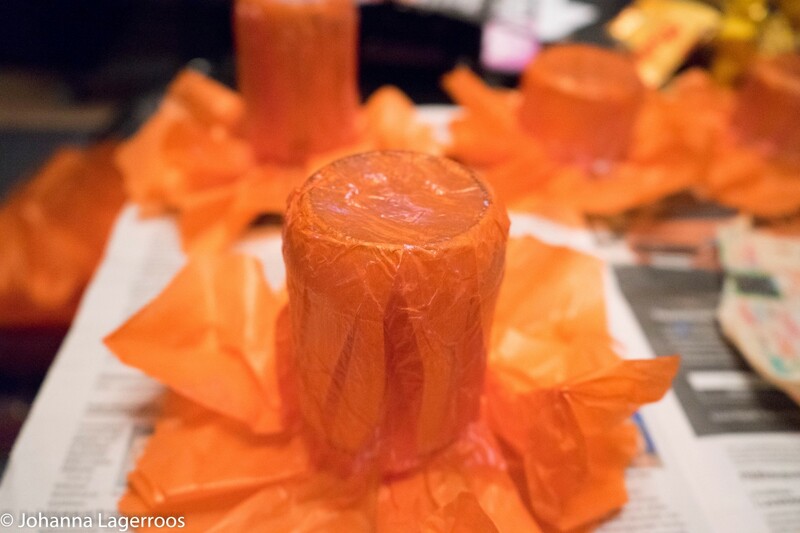 Bonus points for uneven application and folds, as they bring a cool texture to the lanterns. 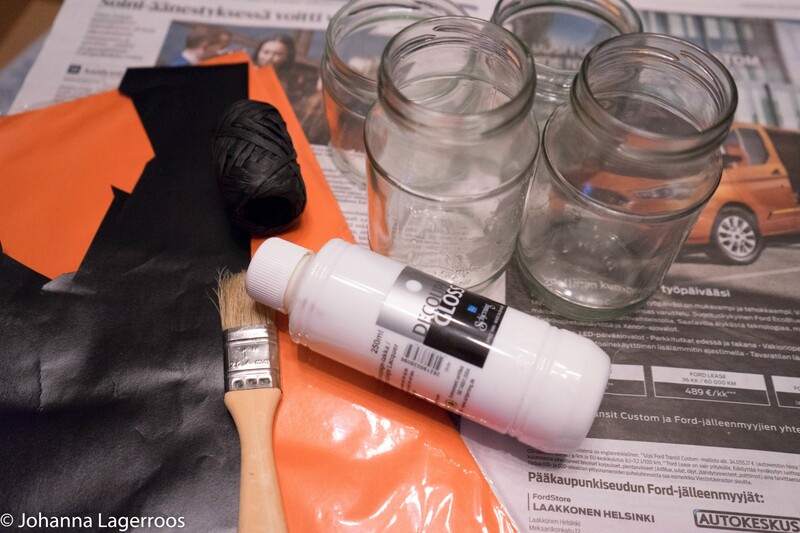 After attaching the paper all over, apply a thin coat of decoupage lacquer over the paper to make it sturdier. Let dry. 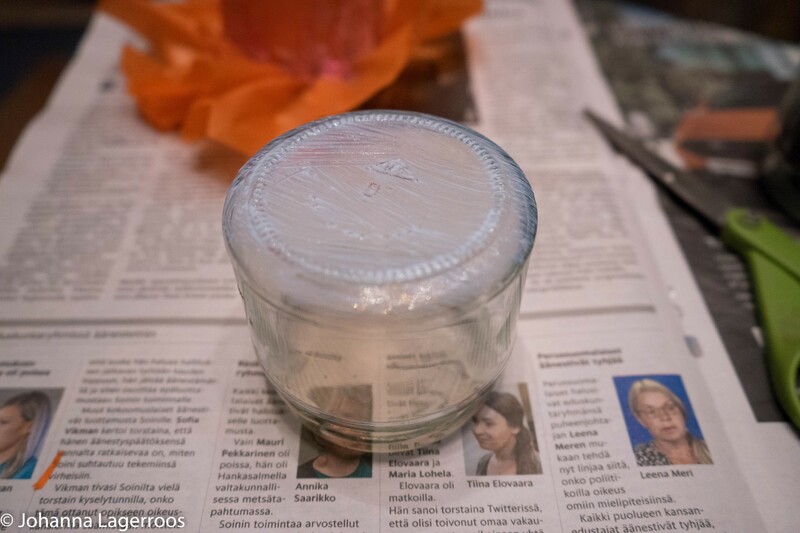 Cut out most of the excess paper, but leave some to fold in the jar over the edge for a neater finish. 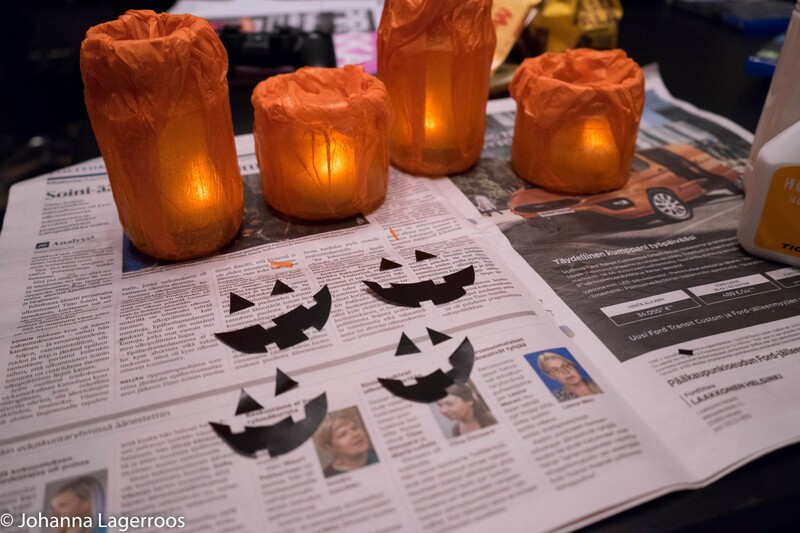 Cut out eyes, mouths and other facial shapes from the black paper (you could do this another way round if you want more traditional pumpkin lantern look! ), and glue them in places. Or use the lacquer. 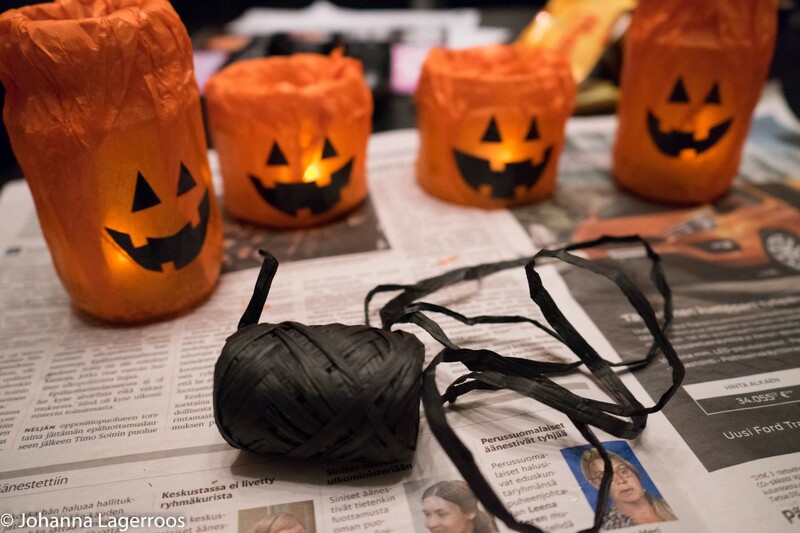 Take the black yarn (mine was a paper one), and cut pieces long enough to go around the top of each jar, and to make a bow etc. out of it - see picture below for reference. 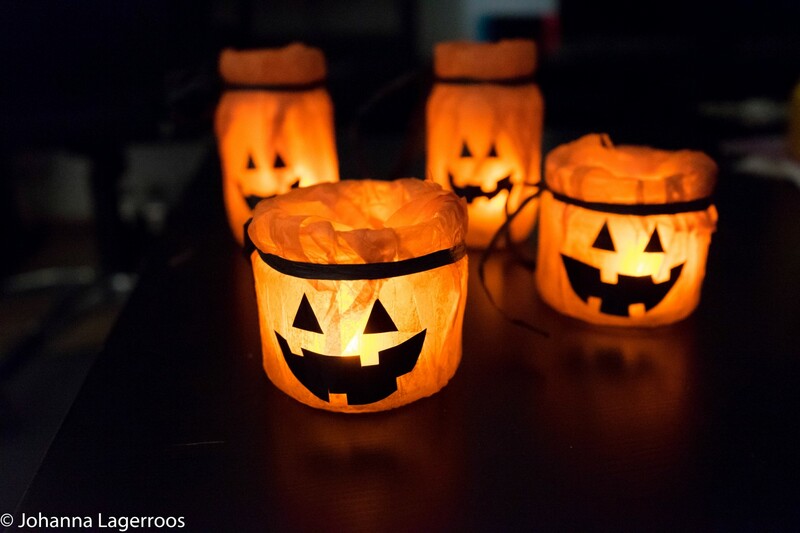 Then, just place in the led candles, and your pet-safe indoor lanterns are done. I love how these ones look in the dark, they're very cool. And apparently cat-approved as he hasn't dropped them yet from the top of the bookshelf. What do you think about this little craft? Let me know in the comments below! 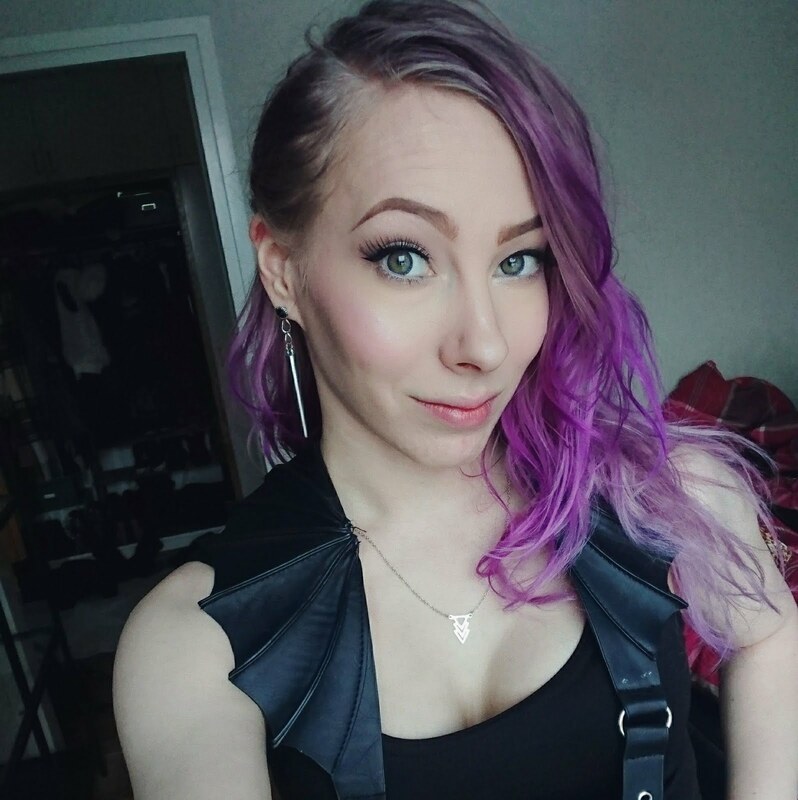 That's all for today, but I'll be back tomorrow with another costume post. 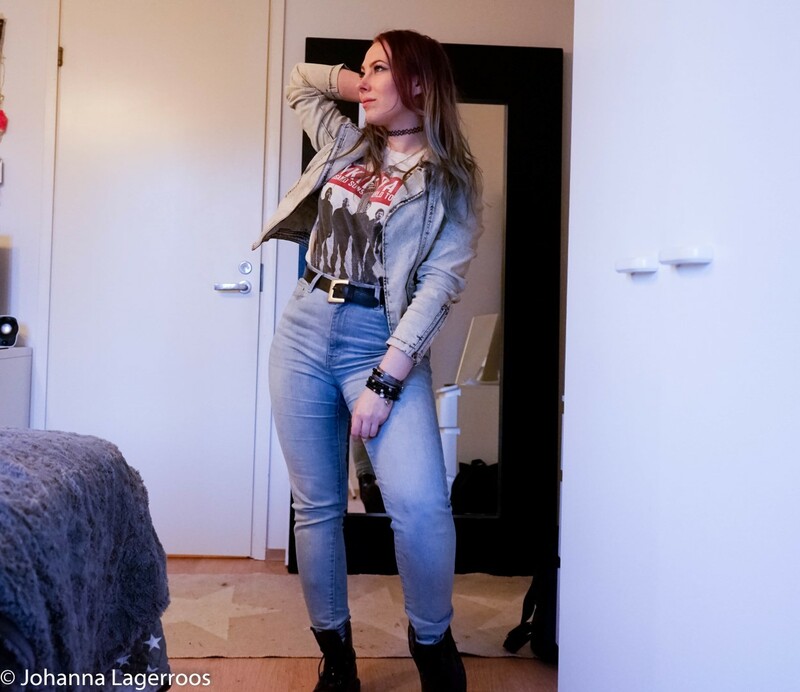 So stay tuned for that, and if you crave for more content, follow me on Instagram where I share daily outfits and more! Until tomorrow, lovelies!